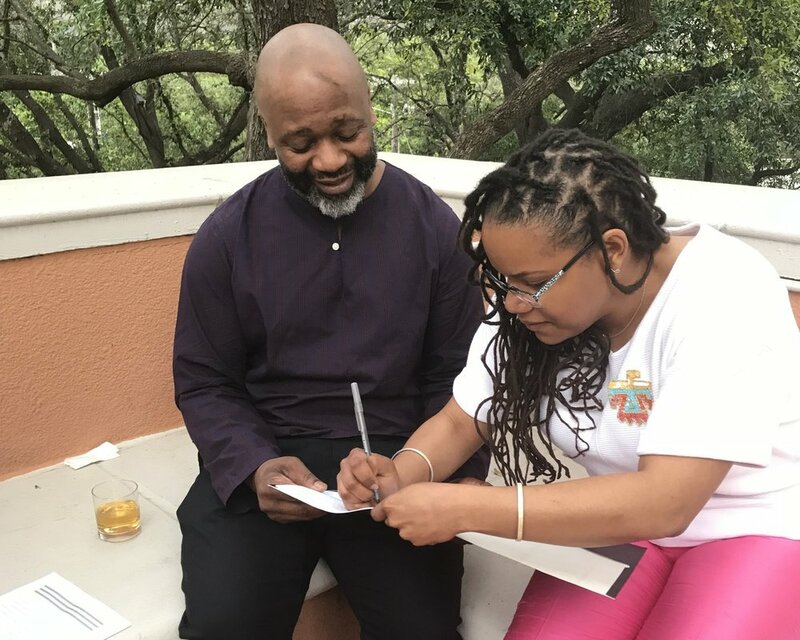 On April 5, 2018, IDSVA student Zoma Wallace, was invited to share her ideas on the graceful nature of Theaster Gates’ mark-making at the Nasher Prize Graduate Symposium. Her paper, Saving Grace: Considering Theaster Gates' Poetic Reclamations as Acts of Grace was particularly well-received by the keynote speaker, Michael Jessie Jackson and by Theaster Gates himself. I credit the IDSVA process in making this feat achievable. The entire experience was exhilarating. The challenge was inspiring. And grace remains an obsession that I feel compelled to continually explore.